There are a number of payment methods available when buying precious metals, including wire transfer, paper check, credit cards, and PayPal. Which are the most secure – and which should be avoided? Most investors automatically assume that they’ll pay for their purchases using a credit card. While Visa, Mastercard, American Express, and Discover cards are commonly accepted by most precious metal dealers, they are not always the best method to pay. Most dealers charge a premium for credit card transactions. This fee – as high as 5% of the purchase price – covers the costs associated with processing credit card transactions. Given the high value of precious metals, this fee can mean a significant added expense. On the other hand, credit card purchases are usually among the fastest transactions. As a buyer, credit cards can give you peace of mind, with the option of initiating a chargeback if the coins do not arrive as advertised. However, this possibility makes accepting credit cards a risky proposition for dealers, many of whom now require additional documentation to reduce the risk of fraud and avoid accepting a stolen credit card for payment. One of the most common payment methods is bank wire, also known as credit transfer or wire transfer. With a bank wire, the precious metal dealer will provide their banking information. The purchaser contacts their bank to initiate the transfer, which is completed electronically. This is a fast, easy, and relatively inexpensive method of paying for gold bullion purchases. Many transfers can be completed the same day they are submitted. Many precious metal dealers prefer this method, particularly for high-volume purchases, because it is quick and secure. Bank wires are considered to be among the most secure ways to move large sums of money. Another advantage of making payment via bank wire is that many precious metal dealers will offer a discount, sometimes as much as 5%, because of the lower transaction fees when compared with credit card purchases. Though writing out a check for the purchase may seem antiquated, in fact it is one of the better ways of paying for gold bullion purchases. As with bank wires, paper checks often earn you a discount when compared with credit card purchases. Because of the lack of a transaction fee, this is often the best option for investors who are looking to get the absolute best prices they can. The downside of this method is that it is not instantaneous; there is a 5-10 business day clearing period before the dealer will release your purchase. 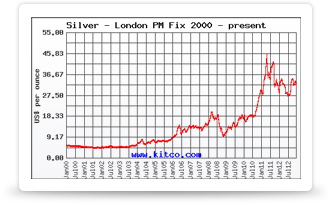 This can mean more than two weeks between the purchase date and the date your precious metals are actually shipped. Still, if you don’t mind waiting, this is a secure and inexpensive way to buy gold coins. If you’re in a hurry, consider a bank wire instead, which is a faster method of using funds from your checking account to pay for precious metals. While commonly used for other purchases, such as eBay auctions, PayPal is not commonly accepted within the precious metal industry. Though convenient for buyers, it’s fraught with risk. Aside from those selling gold coins through eBay, few precious metal sellers accept PayPal payments. The fees for accepting such payments are high – nearly 3% of the purchase price – and PayPal is not considered to be a secure payment method. The extremely high risk of chargebacks has led many precious metal dealers to refuse PayPal payments.